Ep 46 The Voyage Home : Do You Expect Us To Talk? 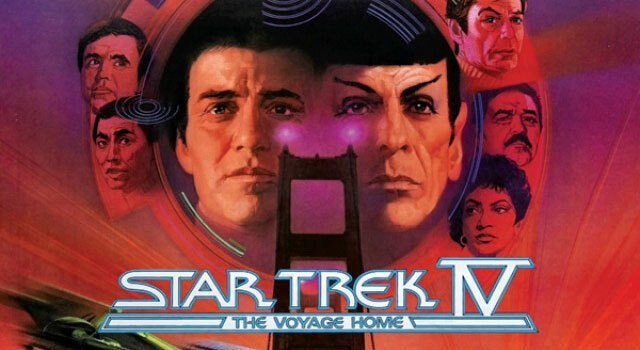 After a break away we’re back with the fourth instalment of the Star Trek film series. Continuing on from The Search for Spock, the crew are still on the planet Vulcan and are set to travel home to face trial for insubordination. However, when a probe arrives and threatens Earth using the sounds of a now extinct Hump Back Whale, the team travel back in time to retrieve a two back to the future and save the planet. Charlie joins us again as we talk about what might be the most accessible film of the franchise but possibly be the most dated. This is a first-time watch for Becca and Chris so listen to find out what they thought as well as funny usage of the word whale, nuclear wessels, how easy it is to break into a hospital,fun facts, Kirk getting turned down and Eddie Murphy of all things.